Bushmills white was the first whisky I actually savored. I was young, and impressionable, and thinking myself sophisticated — yet without means of acquiring sophistication. I’d muffed an opportunity to get my life together enough for higher education, so I worked a series of jobs and looked where I could for inspiration in our small town. I had read a book by Jack Higgins, The Eagle has Landed, in which a character named Devlin (an Irish revolutionary) helps out some Nazi paratroopers. It’s an outlandish plot delivered with aplomb and I remember Devlin favoring a specific Irish whisky, Bushmills. As fortune would have it, the local liquor/convenience store across from which I worked had Bushmills in stock and a compliant late-night clerk who would sell us adult (but not adult enough for America) working stiffs some booze. I had also read that serious students at the university would speak gravely when they were reading The Russians, so I quickly learned who The Russians were (Dostoevsky, Tolstoy, that lot) and began ending my day with Lev Nikolayevich and a glass of Bushmills. An appropriate title, given the reader I was at the time. So, one wonders if my early search for sophistication was at all well-founded? I’d have to say at least it set my taste for whisky. I’d had bourbon now and then with friends and not liked what I found — an overpowering fruity/sweet nose. That and I overindulged once, and anything that remotely reminded me of bourbon made me ill for some years. 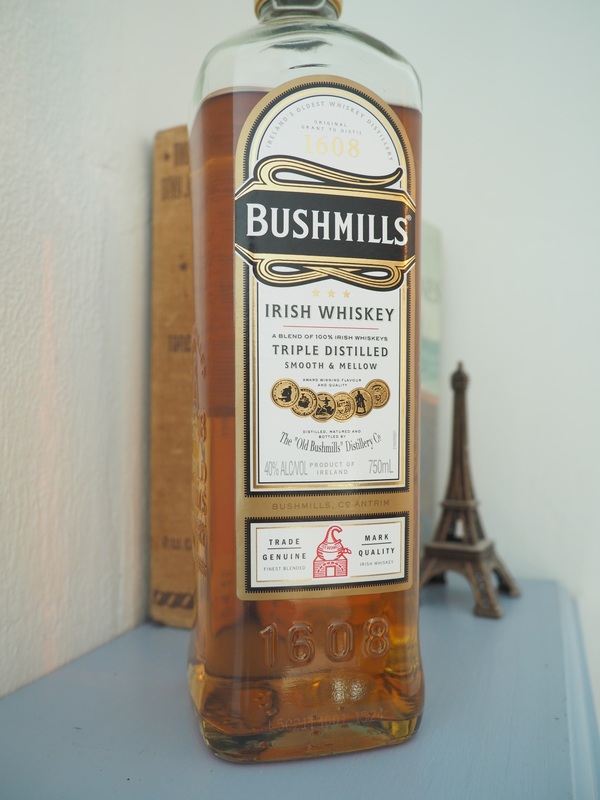 But Bushmills has a taste very different of that from the American whiskies. It is light, clean, and refreshing compared to old-school bourbons. That’s no surprise, as the mash bill and process is quite different. Whereas the American whiskies use a lot of corn, in Ireland it is barley and barley malt that goes into their whiskies. That and the Irish triple-distillation would make a sizable difference. Finally, being a blend, Bushmills has some grain whiskies added as well. At $22 locally, Bushmills white label is in the rotation still at my house. We call on it when a non-peated dram is desired — which, for my wife, is most of the time. I call on Teachers for a taste of smoke for that same price. Nose: Not like any other whisky I’ve tried and I still struggle to describe it. Grassy? A bit of sweetness, a touch of green peppers, dustiness. Taste: Distinct barley taste, just a touch of sweetness, roses, oranges, plums. Nicely balanced. Finish: Clean and quick. A touch of oak tannins. Bottom line: Quick on the finish but a very good dram for a non-peaty night. Great value. 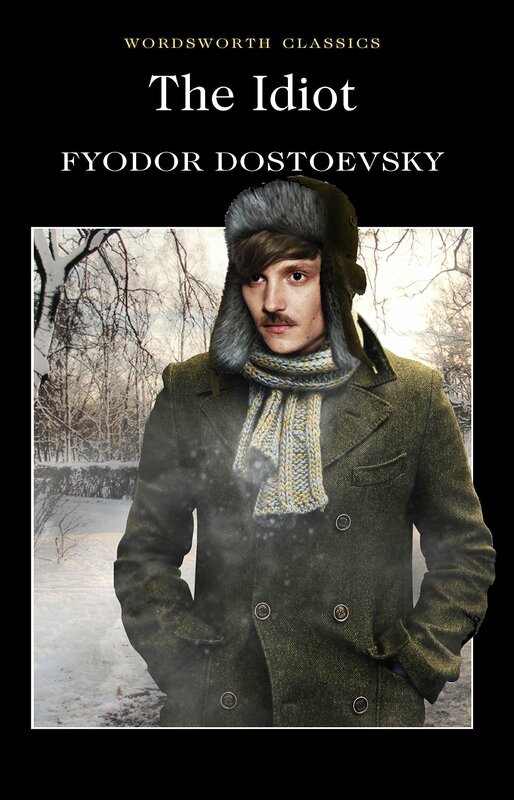 This entry was posted in Whisky and tagged bushmills, Dostoevsky, Whisky. Bookmark the permalink. You can’t find too many Irish whiskies here in Aus, but occasionally you do stumble along the Bushmills. Grassy is a really good description, one that I think applies to many Irish drops. Great review, though! The quest for sophistication is an ongoing one, and one I don’t think anyone ever truly achieves! Hi Nick, thanks for dropping by. I guess I’m past trying for sophistication and going for a more Hobbit-like comfort. Ha ha, I think the Bushmills will happily work for both! Well my friend. It seems you have a gift for the written word. I enjoyed your back story. I myself enjoy the writings of Jack Higgins, in truth I have read everyone of his books. I am more partial to Sean Dillon than Liam Devlin, although Sean was Liams’ protege. I too dreamed of Irish whiskey every time I read his books, I just couldn’t seem to get away from the Scotch…until now. Your description of the Bushmills is quite fitting. My palate is a little more oriented to scotch though and for lightly peated daily dram prefer Glenfiddich 12 or Glenlivet 12. I am getting ready to dive deeper into the Irish pool. Slowly though, I want to take Bushmills in order of price moving up the ladder until there is no where to go. Keep up the great reviews. I really enjoyed this one! Hi Sam thanks for the good words! That is heartening, I’m just starting on this blog quest for whisky. Yeah Jack was a hell of a writer, not sure if he’s still around. I’d like to hear about your Bushmills experiences, we’ve had a number of them, honey, black and green with mixed results. What has been your favorite so far? Have you gotten into the Aged ones yet? yes we have…I don’t want to sway your tasting. But the ‘single malt’ green (10-year, single malt) we found…a little weird. Let me know how you find it and keep up the good work on the site!